Since launching in 2011, SXSW EDU has grown from a regional event in collaboration with the Texas Education Agency into an international convening fostering innovation for the future of teaching and learning. As the event has grown, we’ve seen ever increasing participation from education stakeholders across the board, with 47 countries represented at SXSW EDU 2017. Our conference and festival programs are no exception with popular sessions, films and Launch participants — to name a few — highlighting impactful work around the world to provide quality education for all. A Policy Forum session exploring a virtual exchange initiative to integrate global competency standards. This Featured discussion on solutions for educating refugee youth. A conversation with Costa Rica’s Minister of Education on innovation in the Latin American educational system. This year’s PanelPicker process builds on further delving into education around the world as global collaboration continues to increase across industries. With more than 105 proposals from international organizers, this year’s session ideas represent 31 different countries across our tracks and formats. Among international applicants, the most popular tracks are Business, Implementation and Leadership. With a strong focus on edtech, innovation, and future-ready solutions, we’ll look forward to exploring forward-thinking initiatives and solutions from around the world in March, including work in artificial intelligence, game-based learning and VR/AR. Are you working on a project or idea that you want to bring to the SXSW EDU community in Austin? There’s still time to get involved through the Launch and Learn by Design competitions, exhibiting at the event, or hosting a networking event! 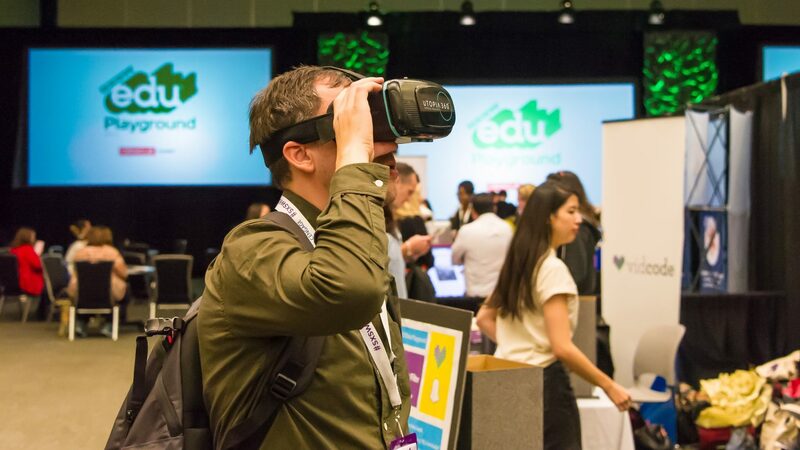 Registration and housing for SXSW EDU 2018 are now open. Early registrants benefit from discounted rates on registration and the best selection of downtown hotels. SXSW EDU 2017 attendee trying VR technology, photo by David Rackley. As the SXSW EDU Conference Programming Manager, I work with all of our conference sessions and speakers, including main stage programming and the Policy Forum. Outside of the office, I can be found camping out in bookstores and baking too many cupcakes.